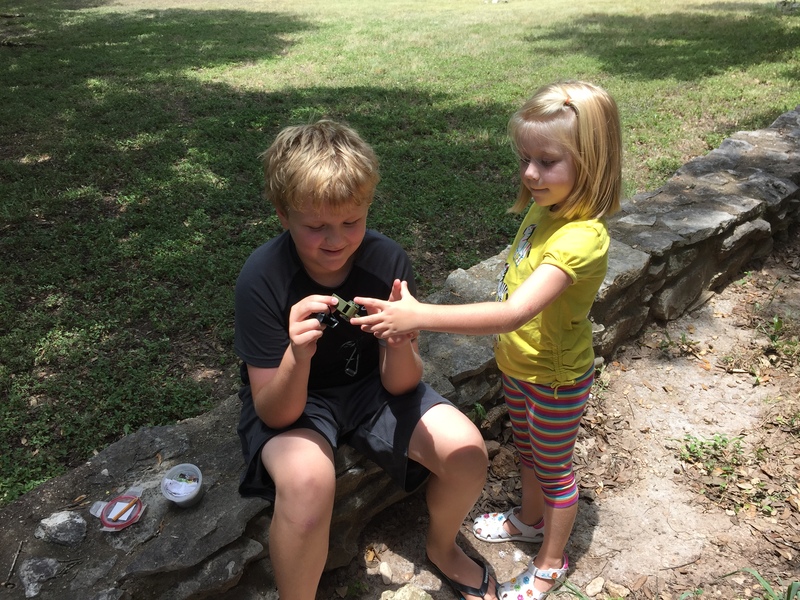 I took the kids today on a geocaching hunt for a cache featuring a foreign coin exchange. 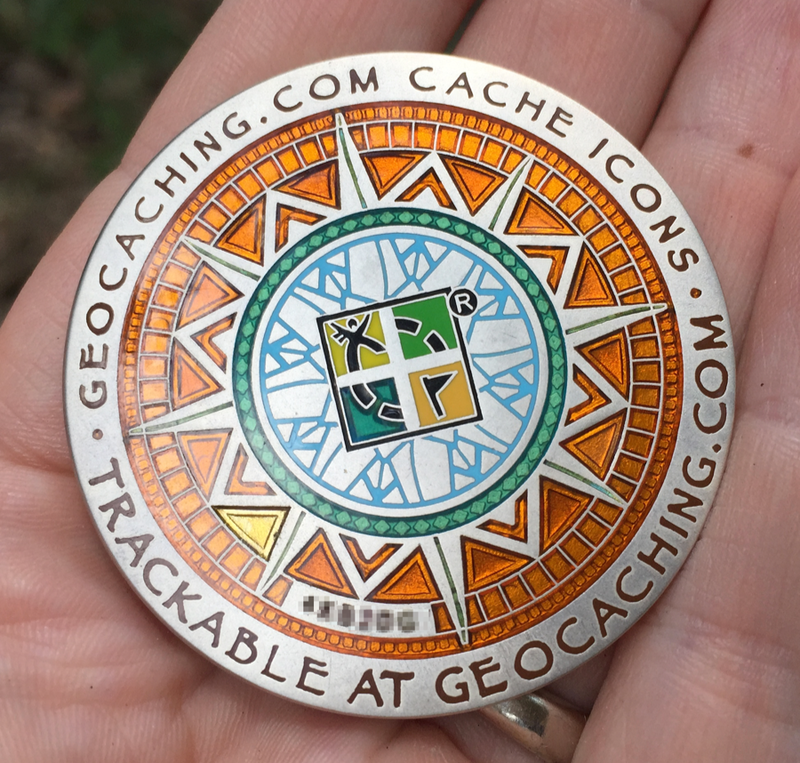 We’ve had a couple busts recently on geocaching so they weren’t highly enthusiastic, but it turned out to be a great cache! Coins, tokens, and a washer. LOL. We left some UK coins, and took a little whistle with a compass in it. The big score was finding a trackable. This special coin had a goal of making it to the FIFA World Cup in Brazil in July 2014. Looks like it didn’t make it, but we’ll take it another stop on a journey regardless! Would be cool if we can get it a ride out of the USA, for starters. 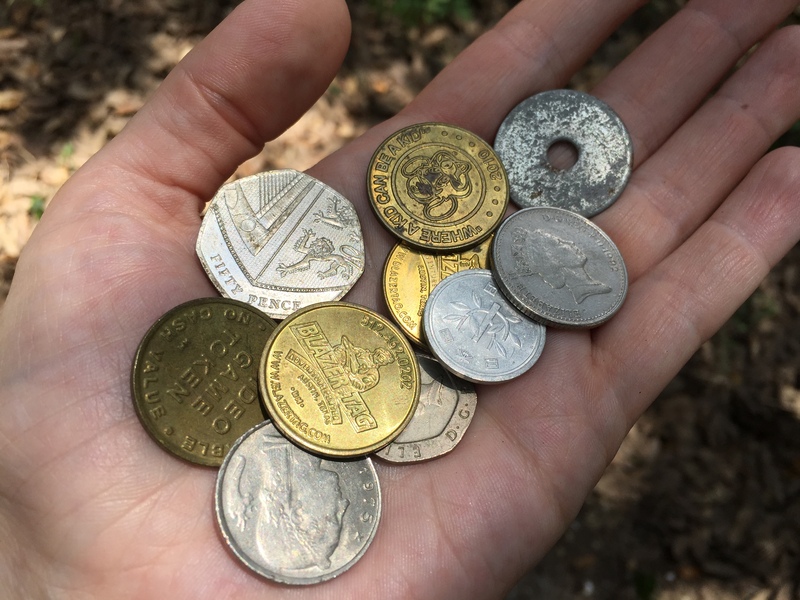 My daughters love finding currency in caches, along with bits and bobs from overseas.